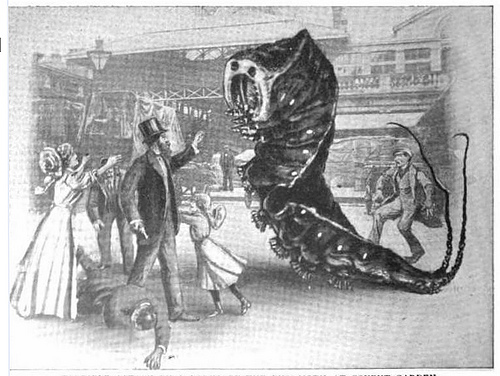 The Edwardians' fear of massive insects. 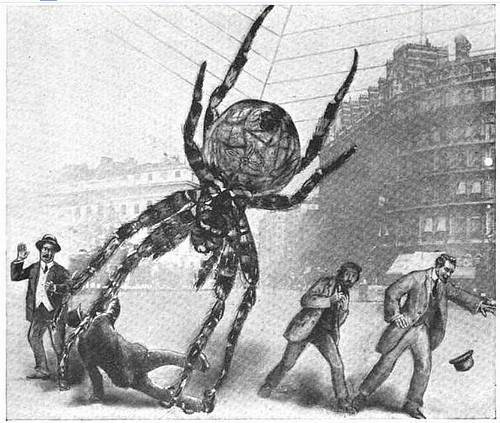 In the article, ordinary British insects have been enlarged and entered into contemporary London street scenes, all for no readily apparent reason. *Having gone mano-a-spido with the beast, I emerged victorious. Though it was touch-and-go for a while there. Maybe it was in disguise? Fabulous! - and so very quirkily British.